ST. GEORGE – Callie Fielding had no idea she was sitting on $10,000. Fielding, her husband and her in-laws were looking for the elusive Summit Rock, a nice little triangular-shaped stone that came with a hefty chunk of change if found. She was sitting on top of a boulder waiting for her husband to bring her some water when a thought struck her. “I had this impression to look underneath (the boulder) and sure enough – there was the Summit Rock!” Fielding said. Astonished at her $10,000 find, Fielding was shaking and she had trouble dialing the number for the Summit Athletic Club in order to let the staff there know what she had found. “I was just in shock,” she said. Fielding found the first of three Summit Rocks Saturday on the trail system near the Dixie Center St. George. On Monday she received the promised $10,000 at the athletic club’s River Road facility. Being newlyweds, Fielding said she and her husband will likely use part of the money to pay off some bills and put some away for savings. As for the rest – they’re looking at another honeymoon. “We definitely want to go and probably do a honeymoon Part II, go somewhere fun,” Fielding said, adding her husband is partial to cruises – something she has yet to experience herself. 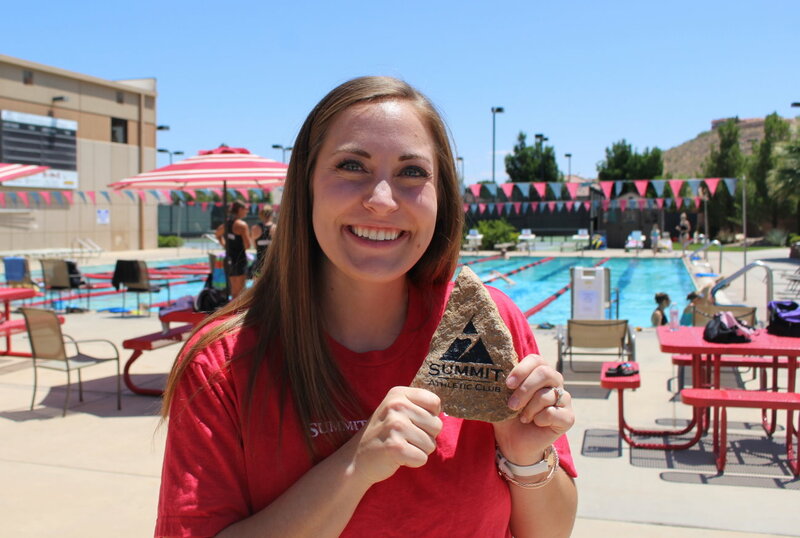 The Summit Athletic Club and Canyon Media have been running the “Summit Rock Hunt” for five years now. 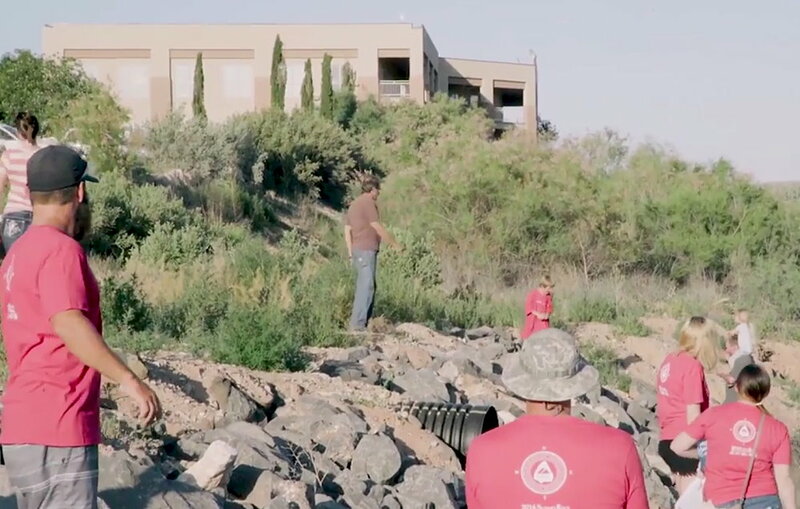 For each of the first two years a single rock was hidden, while the last three years, three rocks have been hidden throughout the community, each promising a potential $10,000 to the person who found it. Clues are shared with intrepid rock hunters over radio waves and social media daily: on Canyon Media radio shows, “Planet 94.1” at 8:15 a.m. and 8:30 a.m., “95.9 The Hawk” and “99.9 KONY Country” at 8:30 a.m.; and on those shows’ Facebook pages and phone apps at 10 a.m. Clues are also shared on Summit Athletic Clubs Facebook page. Oh, and don’t forget to be wearing that Summit Rock T-shirt when out searching. Without it, the rock is worth $5,000, with it, $10,000 is in the bag for the finder. The T-shirts can be bought at Summit Athletic Club facilities. Since its inception, Summit Athletic Club and Canyon Media have given out an estimated $75,000 to winners, said Joe Levine, owner of the Summit Athletic Club. It could have been more in certain cases, he said, had the winners been wearing the Summit Rock T-shirts. The idea for the competition came from a similar event Levine and his wife heard on the radio many years ago in Las Vegas. They liked the idea so much they wanted to apply it to the athletic club and the community somehow and ultimately the Summit Rock Hunt idea was born. 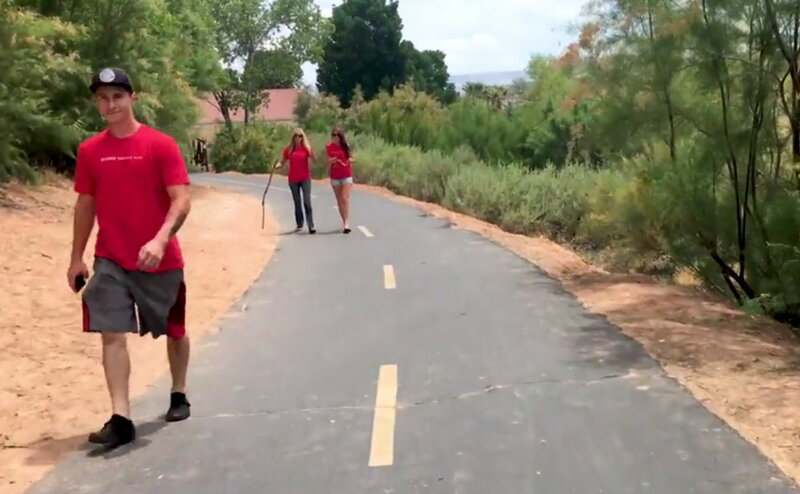 Chris and LaRae Nelson, of the Chris and LaRae morning show on “Planet 94.1,” have watched the Summit Rock Hunt evolve and have met the winners over the last five years. Many of the winners partnered with their families, friends or co-workers to find the Summit Rocks, LaRae Nelson said. These groups will get together and break down the clues and then go out and search. At times those groups will post photos to social media, she said, and share how much fun they had while searching for the rock, even if the search turned up empty that day. “It’s been really fun to see that aspect and to see people really working together to find the rock,” LaRae Nelson said. Two weeks remain for the search for Summit Rocks 2017 with two more rocks to be found. Way to go Callie! A young newlywed is very deserving! 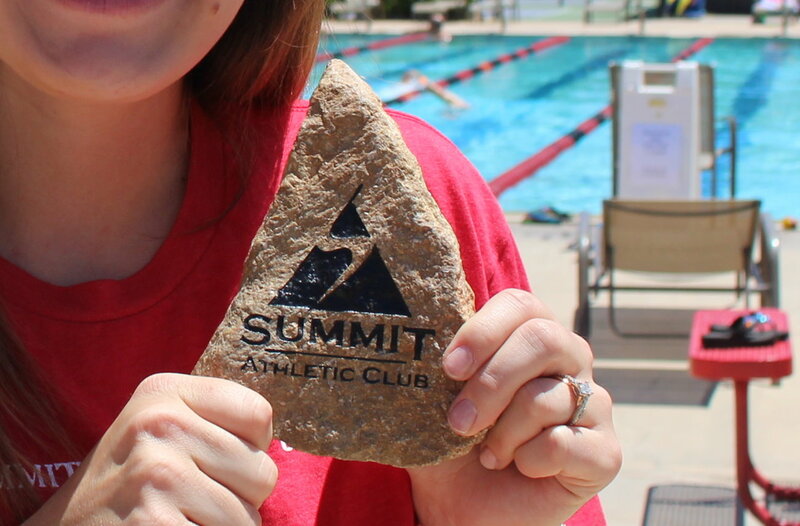 Wow, Summit athletic club has gotten at least $75,000 in free advertising so far for this rock and that doesn’t even count the t-shirt sales!